Password JDM Washers - Engine Bay Dress Up Kit MITSUBISHI - Lightning Motorsports - Selling Speed since 1996 ! Add that last finishing touch to your 2008+ Mitsubishi Lancer Evolution X engine bay with these all new Password:JDM Engine Bay Dress Up Kit! 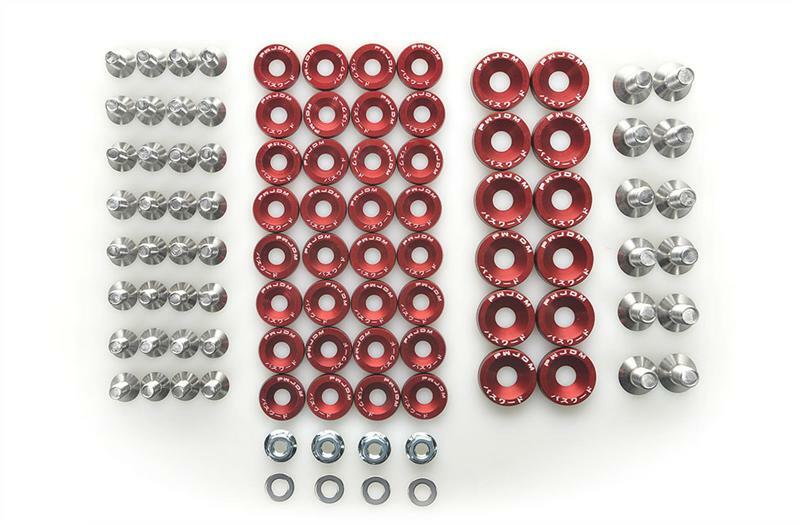 Offered in anodized black, blue, gold, purple, red, gunmetal, silver, and the all new green these fender washers feature the Password:JDM Kenji logo. All Password:JDM Washers are constructed from aircraft grade aluminum and are matched up with long lasting stainless steel bolts. 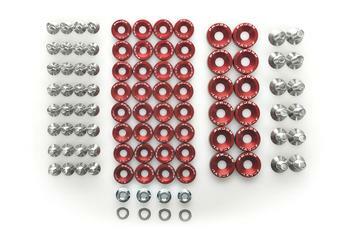 The Password:JDM EVO X Engine Bay Dress Up Kit inlucdes a total of 50 washers and stainless steel bolts.